Our easy to make Vanilla Grapefruit Cupcakes are part of a sponsored campaign for Sweet Scarletts and Millenial Blogs. But that doesn’t mean that these aren’t tasty! It just gave me a great reason to get creative in the kitchen this weekend! 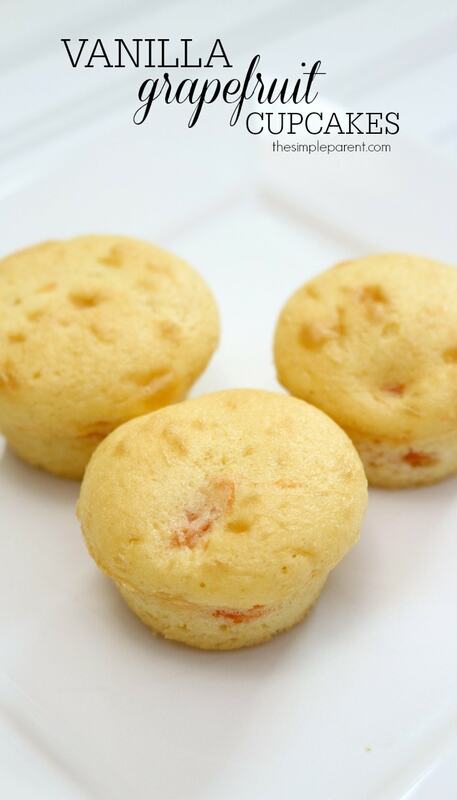 Check out how easy these are to make and trust me, they are delicious! You won’t be disappointed! 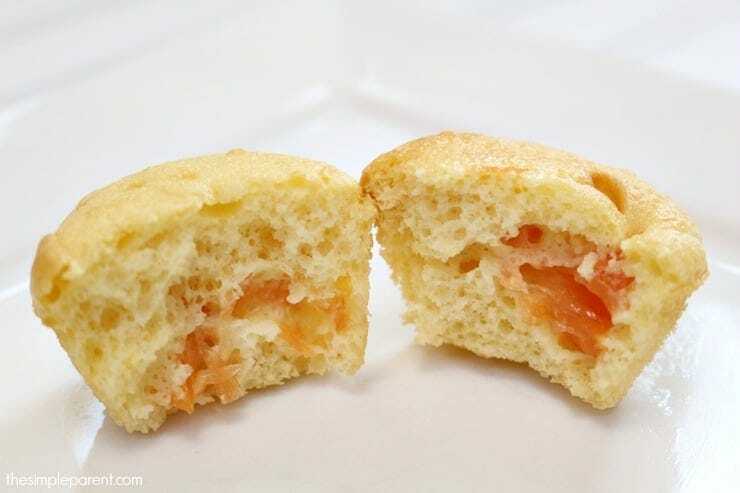 When I think of making a fun snack for the family that’s a little bit different, Grapefruit Cupcakes aren’t the first thing that come to mind. I’ll be the first to admit that. But the past few weeks, we’ve been obsessed with citrus so when I had the opportunity to work with Sweet Scarletts, I knew I wanted to try to make something easy and delicious. Sweet Scarletts are the sweetest Texas red grapefruit. They’re also amazingly juicy and I love cutting on in half to go with my breakfast in the morning. But I wanted to see what else I could do with them! So check out our recipe and then try it yourself! And if you’re wondering about the kids liking grapefruit, no worries! These were a hit with everyone in our family from Carrigan (2) to Grambo (63) so that makes them a keeper for sure! 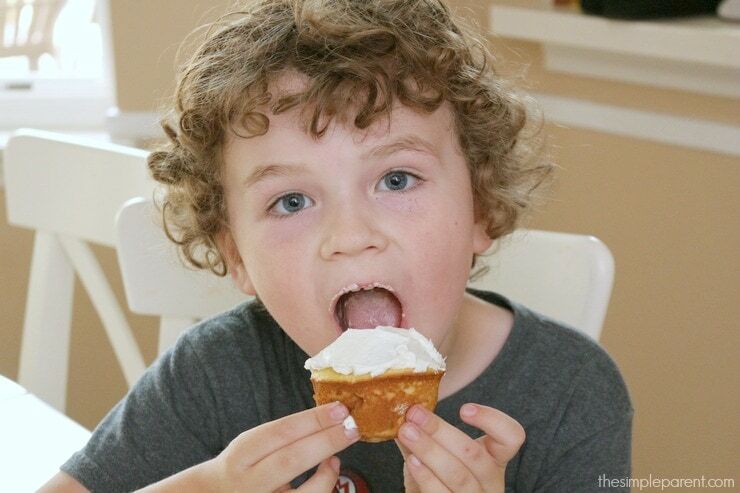 Have your kids help you make these for a sweet treat to share! Heat the over to 350 degrees. Spray your muffin tin with non-stick spray or use cupcake liners. 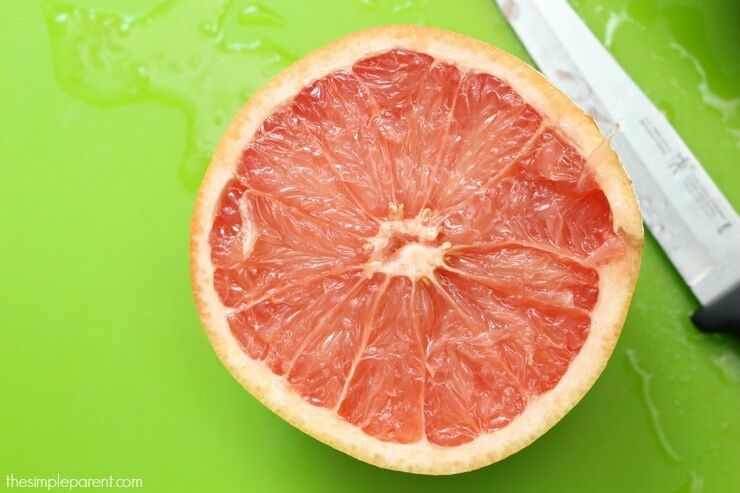 Squeeze grapefruit to get 1/2 cup juice. 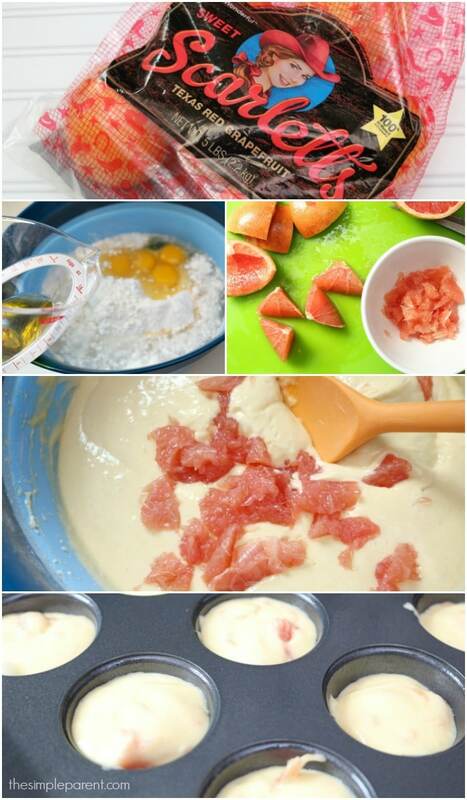 Mix cake mix, pudding mix, eggs, grapefruit juice, water, and oil together in a bowl. Mix thoroughly using a hand mixer for two minutes. Cut two grapefruits in half and then quarter each half. Pull fruit chunks out from the skin. 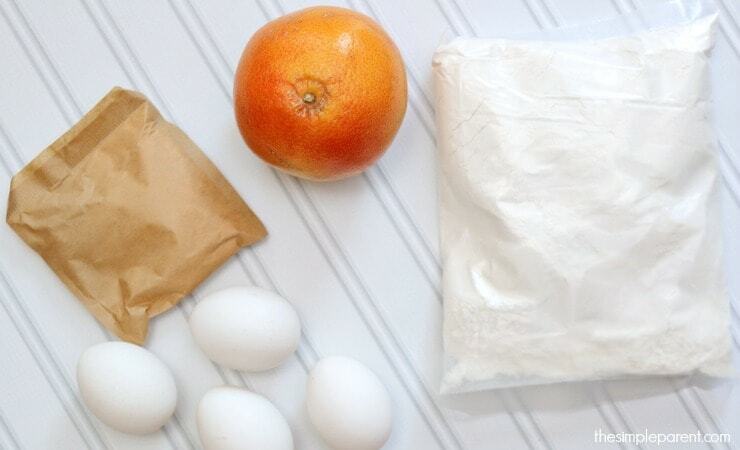 Fold fruit into the cake mix. Fill each muffin cup 2/3 of the way full. Bake for 15-20 minutes or until a toothpick inserted in the middle comes out clean. Let sit for 5 minutes then move cupcakes to a cooling rack. I love the balance of vanilla with the grapefruit flavor in these! We made some mini cupcakes too and they are the perfect bite. So moist and so perfect. No added sugar needed at all! But if you want to use these for a party or other celebration, have no fear because they work perfectly for that too! I would suggest a light, whipped frosting if you’re going to go that route because you don’t need extra sweetness at all with these!